Doyle Brunson is so famous a poker player that he has even had a poker hand named after him. Doyle Brunson has been in the game a long long time now (over 50 years) and has the achievements to prove it. He is an all time poker legend and no body disagrees. Since the end of 2007 Doyle Brunson has been letting us into his world in the way of his own poker blog. One of the first things you will notice about Doyle’s blog is how incredibly wise and experienced he is. There are plenty of professional poker players out there who like to go on and on about how great they are at poker (ahem Mr Hellmuth) but not Doyle Brunson, he doesn’t need to behave in this way because he is wise enough to be at peace with himself (and maybe because everyone already knows how good he is hehe). Brunson’s blog are always entertaining and insightful and what makes them even more special is that each one comes complete with a great proverb which he calls his ‘Doyleism of the day’. These include phrases like ‘A clear conscience is usually a sign of a bad memory’ or ‘Reputation is a bubble that bursts when a man tries to blow it up for himself’. We at PokerHarder UK have fallen in love with Doyle Brunson’s poker blog while researching it for this article, and now we know why it stands at the top of numerous ‘best poker blog’ lists. 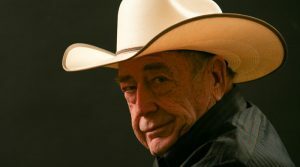 So if you want to be entertained by one of the funniest and wisest men in poker then please have a look into Doyle Brunson’s poker blog.